Participants from 7 ASEAN countries in Penang, Malaysia. The IMPACT multi-market model and the IMPACT Fish Model were presented by Shahnila Islam (IFPRI) and Chin Yee Chan (WorldFish), respectively. The country teams then presented the state of capture fisheries and aquaculture in their countries and provided feedback on the current baseline results/trajectories from the IMPACT fish model. This allowed for a participatory approach for calibrating the fish model, which has been a focus of the WorldFish foresight modeling team. For scenario development, Nhuong Tran of WorldFish narrowed down three major topics of interest that the participants could focus on for the region. These were: capture fisheries, aquaculture, and climate change impact on both capture fisheries and aquaculture. The participants worked in three groups to develop narratives around these three main topics to come up with plausible scenarios for the future of fish. These will later be quantified for the model. In addition to the IMPACT Fish model, it was noted that other models could be used depending on the research/policy question being addressed. 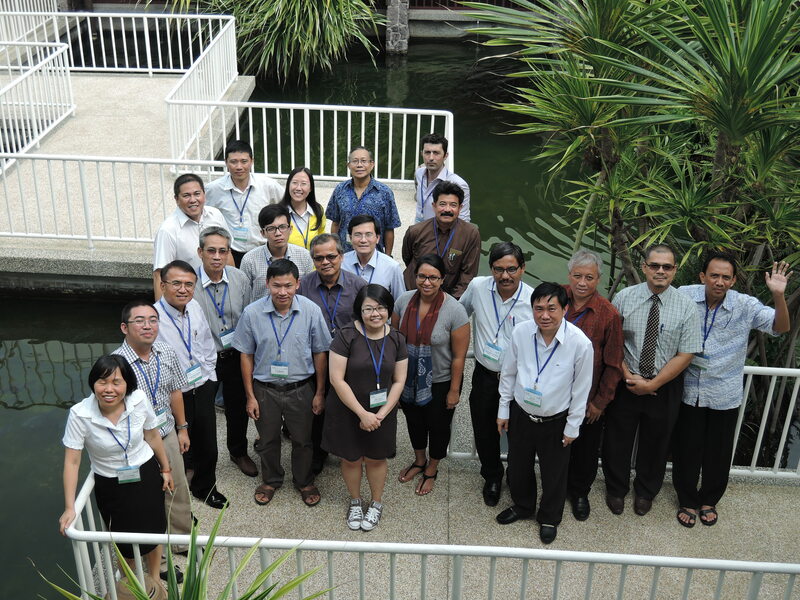 The AsiaFish model was presented as an alternative country level model. Also, a US Fish model of demand side behaviors was also presented that could be adapted for use in other countries. This work was supported by funding from the Bill & Melinda Gates Foundation and the CGIAR Research Programs on Policies, Institutions, and Markets (PIM) and Climate Change, Agriculture, and Food Security (CCAFS) to GFSF.